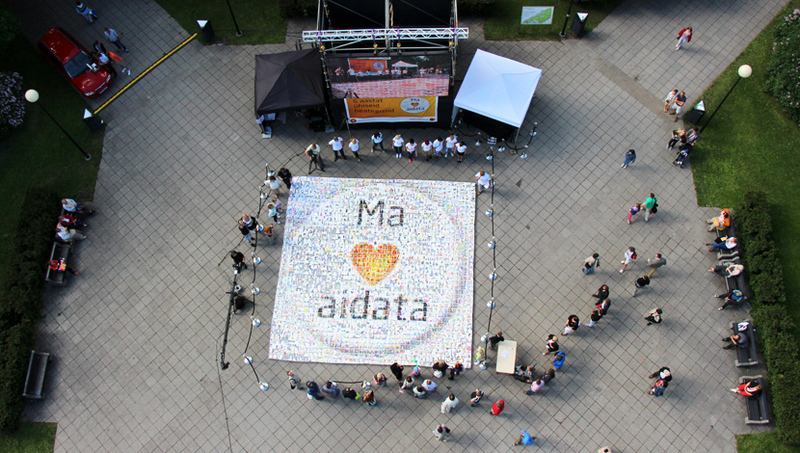 Ma armastan aidata donation environment wanted to celebrate their 5th anniversary and offer people a chance to be a part of the event. 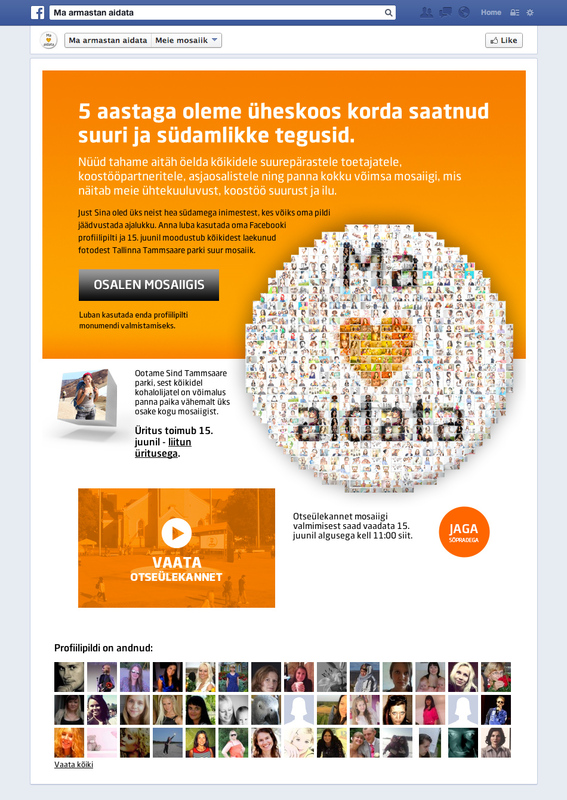 We invited people to "donate" their Facebook profile photos on Swedbank "Ma armastan aidata" ("I Love to Help") Facebook page. 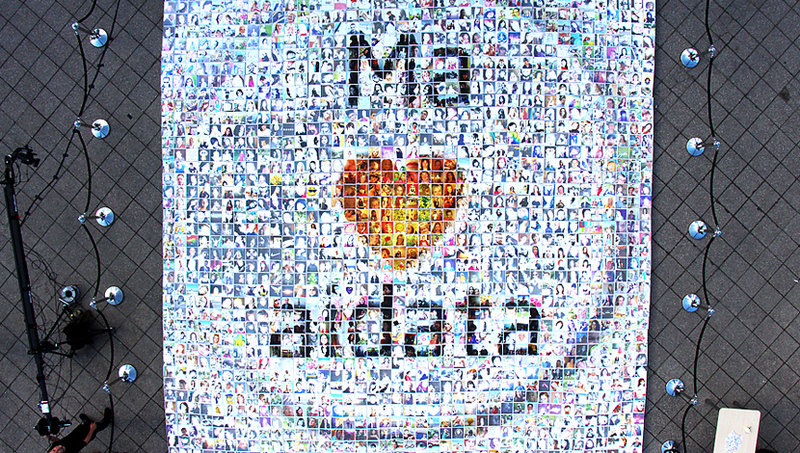 After 2 weeks we used all the donated pictures for creating a real life mosaic picture. 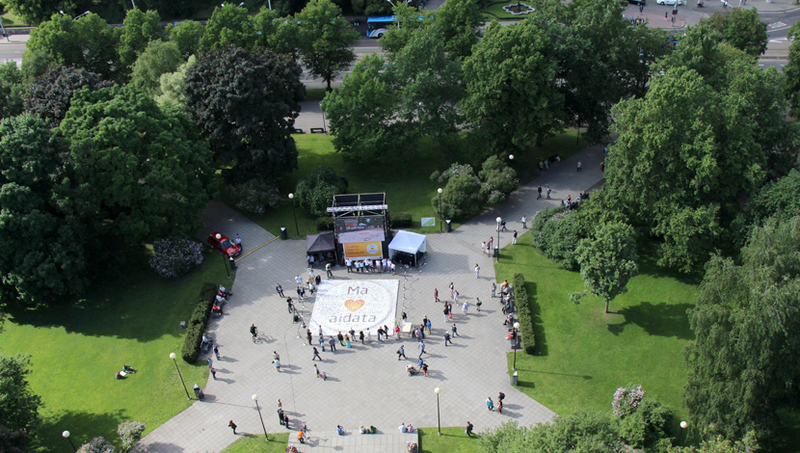 An event was organized in the center of Tallinn in Tammsaare Park, where all the participants could come and place their own picture as a block of the whole mosaic picture. The whole event was streamed live through Facebook.